The world of wine as we know it has undergone something of a Eureka! moment in recent years. Natural wines have surged in popularity, appealing not only to consumers of an ethical and health conscious level (which should be all of us) but also in terms of their diverse flavour profiles. Put simply, to classify as a ‘natural wine’, a wine has to be produced in the most natural bio-dynamic way possible, letting Mother Nature dictate terms. Virtually no technological procedures are used between the growing of the grapes to the bottling of the wine. Natural yeast is a friend not an agent to be put in check. They are also low in sulphur (which is used to halt oxidisation) allowing unique, funky flavours to play. It is their unpredictable nature, from the wacky to the wonderful, that is the reason for their continual popularity. Proving that as well as sophisticated, wine can be fun. The benefits to natural wine are seemingly endless. As consumers, we are supporting often small family run independent producers, that are minimising their impact on the environment. Also due to this dismissal of industry, natural wines are in virtually all cases vegan-friendly, as most producers scrap the fining process that would use agents such as isinglass, which is a fancy term for fish bladder proteins. Yummy. So it’s only natural (no pun intended) that specialised and dedicated natural wine bars have been popping up all over London in recent years. Each offering a varied array of natural wines from all corners of the globe, usually with great food to boot. Ambience is key also, as are friendly, knowledgeable staff, as the world of natural wine can seem daunting. As you can imagine, painstaking research was needed in order to write this article. It’s safe to say that East London is the beating heart of London’s natural wine scene (I could have easily focused on this area alone). This bohemian bistro is home to a stunning wine list that is comprehensive and accessible to all, no matter your budget. From Austria to Australia there’s plenty to explore and get stuck in to. The food menu is courtesy of chef Tom Anglesea, who changes it up daily, focusing on Modern British cuisine. It’s open till 2am too, meaning its an ideal setting for nightcap. On weekends, you can guarantee Maltby Street Market to a) smell of incredible food and b) be absolutely heaving. Tucked away from the market in the arches is this real gem of a wine bar. Despite its archway setting, which can sometimes feel cold and clinical, 40 Maltby (actually at 37) has a relaxed speakeasy vibe. It’s the shop front for Gergovie Wine importers so you can expect the cream of wine producers from France and Italy in particular. There’s a menu also, with a focus on small plates, ideal for a nibble at lunch. Due to its popularity it does get very busy on weekends, so be prepared for a wait for a seat. However it’ll make that glass of wine, all that more rewarding. Farringdon is home to many watering holes, but few are as stunning as The Winemakers. Wine runs in this venues veins, formerly it was the site of Oddbins. The expansive bare-brick subterranean vaults are elevated in their intimacy by candlelight, making this an ideal date night venue. The setting is matched by the wine list, featuring some truly remarkable natural wine producers from Hungary in particular. If you want a little more focus on food, then check out their restaurant in Deptford. This Covent Garden spot is a real oasis in a desert of chain gastro-pubs and restaurants. Because of its location, it’s easy to be cynical. But Terroirs has established itself as a seriously good wine-bar with an excellent wine list. What makes it stand out, is it’s informal approach to wine and food, think classic French bistro cuisine. Nothing here is grandiose or over-complicated. 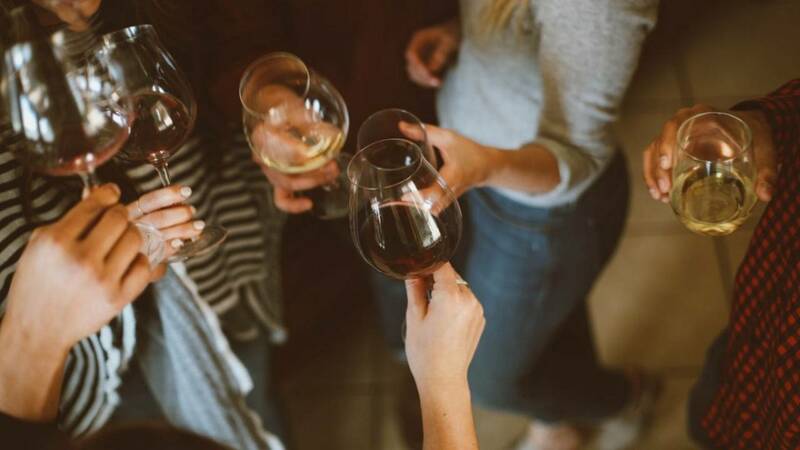 In terms of wine, there’s something for everyone, with a pleasing amount of natural wines from outside of Europe, from Argentina to South Africa to the US. A real ruby in the big smoke. It’s easy to wander past this Fitzrovia wine bar, blissfully unaware of all the hidden wonders tucked away inside. The Remedy as its name suggests is all about forgetting bills or how much you hate your job. A cosy atmosphere, cracking wine and cocktail list, it’s a space to be selfish. There’s even a happy hour Tuesday to Saturday (4-6pm). Factor in a menu that changes on a weekly basis (at the time of my visit it was Tuscan inspired) then it’s easy to see why this spot has garnered a good reputation so quickly.